The Flowmax 44i is an ultrasonic flow meter for measuring liquid flow by calculating the volume flow rate in the liquid. Based on the Ultrasonic-Technology Flowmax is able to measure conductible and non-conductible liquids contactless. The measuring result is provided over a scalable pulse output. Programming and visualising of the analog output is done via an RS485 interface. It is possible to share all measured information with IT-systems on the computer. The Flowmax 44i shows the measured flow in series on a background lighted display with actual flow and volume counter. Standard programming can be done by the keypad. Additional to the editable pulse output there are, current output, two digital outputs and one digital input available. All parameters of the flowmeter are individually configurable with MIB PC-Software FlowSoft and USBtoRS485-Converter. The integrated gas control with empty pipe detection on the alarm output offers additional information. Suitable for very dynamic applications. It has no moving parts and is free of wear. CIP cleaning processes are possible. Flowmax advantage is its high measuring accuracy and repeatability. toxic or aggressive media (concentrated acids and leaches). 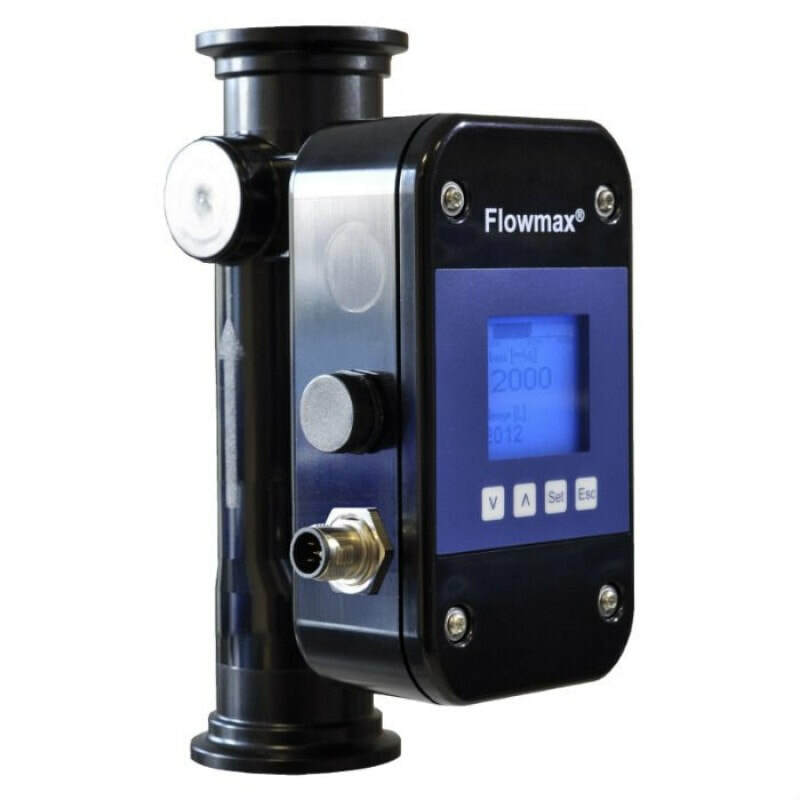 The Flowmax 44i is an ultrasonic flow meter for measuring liquid flow by calculating the volume flow rate in the liquid. Based on the Ultrasonic-Technology Flowmax is able to measure conductible and non- conductible liquids contactless.